Explore a whole new you with Patricia Nash's Discovery collection. 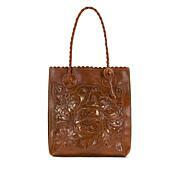 This luxe, aniline leather tote was inspired by Patricia's passion to recreate what the old world made beautiful. Designed for the woman who waits for nothing and believes a life well-lived is essential, mandatory, now — it's destined to become a cherished piece. I bought the Dark Tobacco color and its gorgeous. I love large bags but its not over the top large. The leather is beautiful and the lining is so rich looking. Not too heavy, all in all a perfect bag. My second Patricia Nash bag; and have a third on waitlist. I was so happy to find her bags on HSN; Ive wanted one or more for so long. Easy pay makes them so affordable. 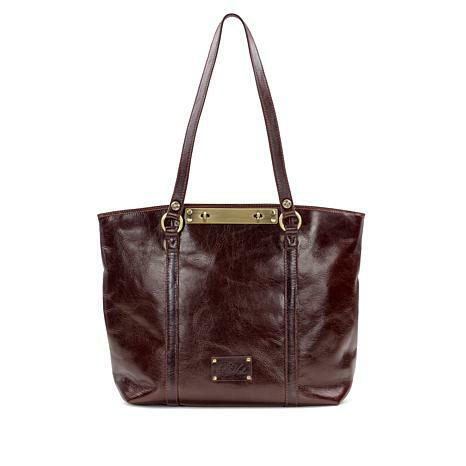 I bought this tote for work; the leather quality and functionality of the bag is awesome. I own some high end bags, and just as Patricia says, this bag would be well over $1000 in Italy for the same quality of leather. 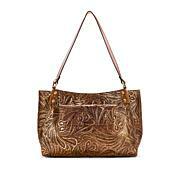 I love this bag - very well made and love the warranty. The Bolzano tote exudes quality from the aniline leather to the silver brushed hardware it is a forever statement piece that will beautify with age. 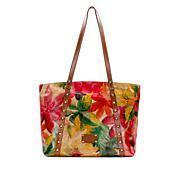 It is a perfectly sized purse-tote without being bulky. However, there is one missing component that detracts from its usefulness--and that is feet. I hate to think of setting this tote on the floor or getting it dirty. If this tote had a flatter bottom with feet, then it would merit 5 stars. 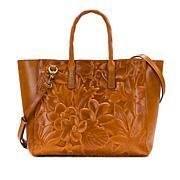 So in sum, this tote is more beautiful than practical.